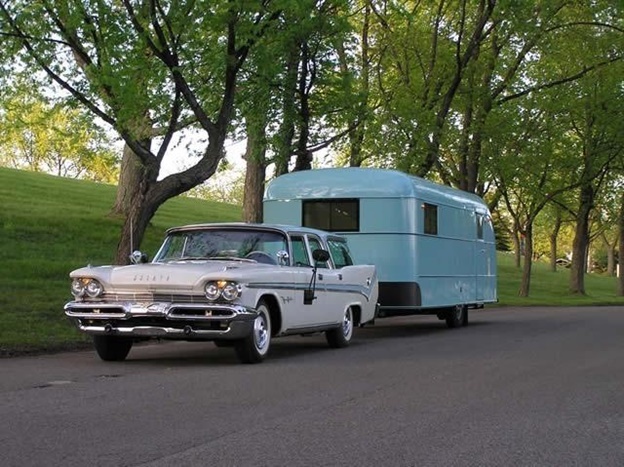 The 5th Annual Vintage Camper is one of the major events in Branson to open on August 4 to 6, 2016. This annual event is open to the public on Saturday from 1 to 4 pm for a tour of all the vintage vehicles. Vintage campers with model 1976 or older will receive special pricing for this event. This annual event will be held at KOA Campground & Convention Center in Branson. Although it is located less than a half mile from the bustling Strip in Branson close to exciting attractions, live shows, and shopping, it is actually nestled in the Ozark Mountains. The KOA Campground in Branson has over 140 RV sites and assures that you can find the perfect site made just for you. You will find luxury sites in the area and they are really nice. The KOA Center has about 27 lodging units which feature a selection of sizes and amenities which provide great camping for everyone. The center has friendly staff always ready to assist you in selecting from the more than 100 live shows that perform daily in the entertainment district in Branson. The front desk can help you about discounted show tickets. The KOA Campground & Convention Center has a fresh water pool to get that perfect tan and a hot tub that you can soak and relax. You will also find a playground at the center where you can do some exercise routines. There’s also multipurpose area for basketball, pickleball, tennis, volleyball and badminton. If you want to stay in shape, there’s a fitness center for adults as well. The center also features Kamp K9 where you can bring some of your four-legged friends. If you want to fill in your hungry tummy, you can grab some pizza, ice cream, hot wings, and pancakes. If you order hot pizza or hot wings, you will get free pancakes delivered right to your tent, RV, or cabin. This 7,000 sq. ft. Convention Center in Branson features 2 laundry rooms, 5 bathroom facilities (all with A/C) which can accommodate the largest camping event in Branson or family get-together party. The center has full time event coordinator who can help you arrange your entertainment, food, and transportation. The front desk offers discounted ticket service where you can get discounted tickets for Branson Shows and Attractions such as Dixie Stampede, Titanic Museum, Veterans Memorial Museum and can even make your Golf Tee Times at Thousand Hills. The center also has features of Cable TV & Wi-Fi at every RV Site and a gift shop where you can grab some souvenir items, RV supplies and parts. Everything offered at the center is all great, the room, the park, the green areas, the breakfast area, and the convenient location which is close to Branson’s main street and shopping areas. If you love camping and a fan of vintage camper, you must see one of the major events in Branson this August 2016, the 5th Annual Vintage Camper.